The arcade was once a home to scores of videogame junkies. It was a den of pixels and plastic joysticks, a place where people of all ages had the chance to conquer a game that asked only for your patience and a few quarters. More recently, the arcade has moved out of dark retail spaces in the mall and into homes and personal devices. The result is that arcade culture has faded as it’s become increasingly more difficult to find places to get your sweet fix of sound effects and a cherry slushy. And while nearly all of the electronic videogames can be played on any digital device, some videogame predecessors – the analog electro-mechanical games – are stuck in limbo as digital versions don’t stack up to the ever scarcer originals. Games like Skee-Ball, Whac-A-Mole, and pinball now hold almost legendary status as games with such vintage “cool” that trendy bars have begun re-installing them to keep people drinking and having fun. While I applaud the return of the classics, I note that one of them, the pinball machine, never actually went away. There has been more or less continuous production of the classic pinball machine by one company or another since its very roundabout invention in the late 1700s. The most familiar modern versions of the machine weren’t developed until after World War II, introducing widespread use of electronics and solenoids and, later, microprocessors. Pinball machines may not be made in large numbers like they once were, but they still represent a significant sector of the gaming industry. Now, thanks to Hautlence and its cleverly conceived Playground collection, there is a brand-new pinball machine for enthusiasts – one that, of course, fits like a wristwatch. Having made its debut at Baselworld 2017, the Hautlence Playground Pinball is a fun and surprisingly complicated game for the wrist. The driving force behind the Playground collection is the idea that life, and the sometimes-extreme world of watch collecting, shouldn’t be taken too seriously (not all the time anyway). The Playground Labyrinth (see Why So Serious? Lighten Up With The Hautlence Labyrinth) began a new tradition of mechanical amusement at Hautlence, and the Playground Pinball continues that with a game incorporating mechanisms originally designed long ago for more “practical” watch mechanisms. The Pinball wristpiece (“wristpiece” because it’s not a timepiece) movement is based on the speed governor mechanism from the minute repeater and features a dual-mass centrifugal governor on the rear of the Pinball movement. The operation of a game of pinball seems rather straightforward, but with the addition of two rotating elements on the dial, the game actually becomes a bit difficult. The dial, which comprises sapphire crystal over brushed titanium, has eleven spots where points can be scored if the ball comes to rest in a hole. 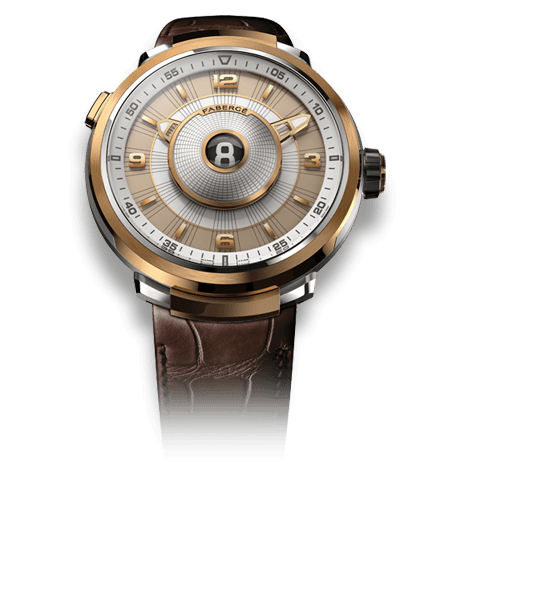 The ball is fired from the right side of the dial thanks to a minute repeater slide-style plunger. The spring in the upper right corner that is compressed when the plunger is pulled back is visible. Three blued steel balls can be fired one at a time; they follow a curve into the playing board. Depending on the amount that the plunger is pulled back, how quickly it is released, and the position and angle of the wristpiece, the balls interact with different features on the dial. There are two bumpers in the upper half of the dial, which can direct the balls as they fly across the dial. These upper bumpers aren’t powered like those of a real pinball machine, but they add complexity to the playing surface. A rotating spiked randomizer is located in the center of the dial that, when hit by the ball, redirects it, throwing the ball in a different direction. Directly above the randomizer is a spinner that can also alter the ball’s course should it roll over the grooved disk. 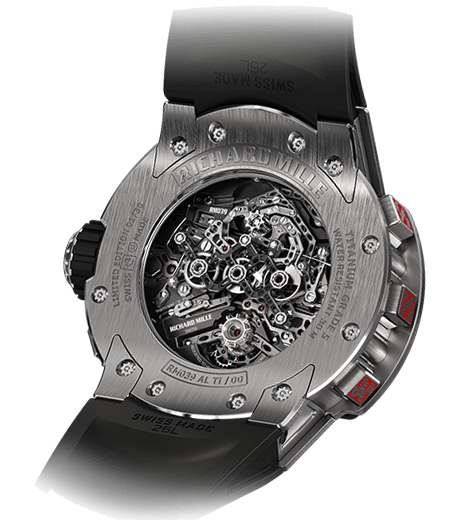 These spinning elements are controlled by the governor system visible on the rear of the wristpiece. When the plunger is pulled, it charges a small mainspring that drives the randomizer and spinner. The speed of the elements is controlled by the governor, and the mainspring maintains the spinning for about ten seconds. The speed is rather quick due to a small gear train that increases the ratio from the slow mainspring rotation to the spinning elements. This provides plenty of time to “play” with the fired ball and perhaps redirect it to another spot for even more points. The flippers are the main feature missing from a real pinball game. Given the speed at which the game plays and the fact it is so small, the addition of flippers would have been needless based on the form factor. Regardless, the game is still rather fun. Building your score as high as possible is obviously the goal of the game. After about 15 minutes of playing, I was able to get one jackpot, one 1k bonus, and a couple lucky zones. Only once did I lose a ball into the dead zone. It took a little while to figure out how to slow the action down so I might be able to control it better and to guide the balls to higher scores, but by the time the Hautlence representative vigorously pried it from my hands (just kidding, I gave it back peacefully) I was a fan and could see spending plenty of time on trains, planes, and in long business meetings becoming a miniature pinball wizard. 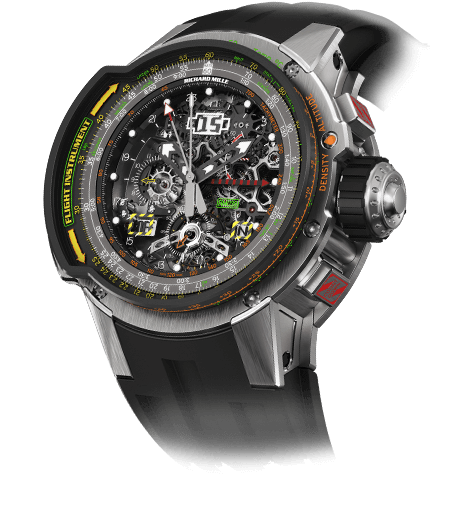 The best part of this wristpiece is the addition of the complicated mechanics that control the spinning elements. The previous Labyrinth was fun but relatively simple, and many horology nuts derided it for not being mechanical enough (that said, the Labyrinth has nearly sold out). Lack of mechanics isn’t a problem with the Pinball; it stands out as a clever combination of classic watchmaking and avant-garde frivolity. The path that Hautlence has taken with the Playground collection is a risky one, especially considering that the brand is asking watch lovers to give up valuable wrist space for something that doesn’t tell time. 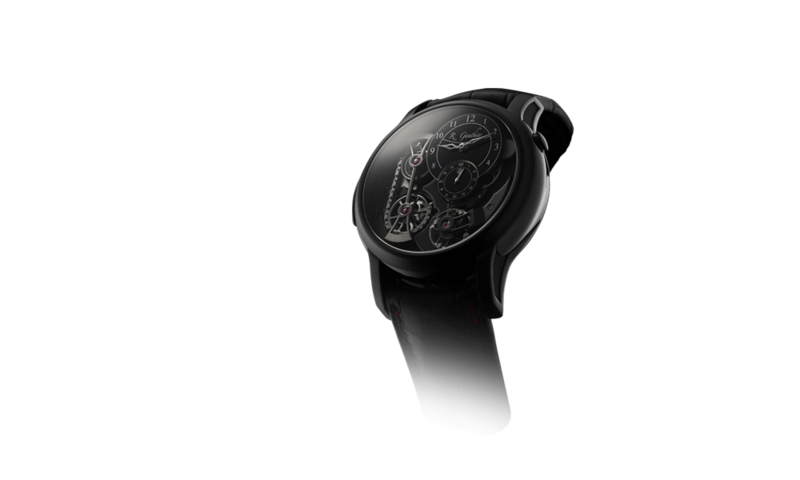 Yet it isn’t the first watch brand to make a wristpiece that doesn’t tell time: both Romain Jerome and Beat Haldimann broke the link by creating timepieces that didn’t actually tell the time.  I absolutely love watchmaking, wristwatches, and horology in general for its incredible contributions to science and technology. But I must admit a sense of religious reverence has been creeping into the culture as prices have risen and watches have become talismans of power, wealth, and intelligence instead of the tools they have always been. Of course there are those that use watches as tools, and brands that focus on those ideals, but for avant-garde marques that create mold-breaking horological creations, the lines are, understandably, blurred. Hautlence is clearly bringing that into focus, reminding us that watches really can be just watches and that amazing things can also be fun. Accurate timekeepers are found all around us every day, so having a mechanical game on the wrist can become more intriguing. I am extremely happy that Hautlence is taking the initiative to create such interesting wristpieces, and I look forward to seeing where the line goes in the future. Until then I will hopefully get another chance to hone my miniature pinball skills with the Playground Pinball on my wrist. Wowza Factor * 7.48 Even though it is only a wristpiece, there is still a lot of wow in the Playground Pinball. The mechanism, the game play, and the fun! Late Night Lust Appeal * 55 » 539.365 m/s2 The lust on this piece is lower than most timepieces, simply because it doesn’t tell the time. But I still lust hard after this wristpiece and find myself up at night humming Pinball Wizard while I imagine playing it! M.G.R. * 25 Given that it basically is just a minute repeater governor mechanism, it has some street cred. 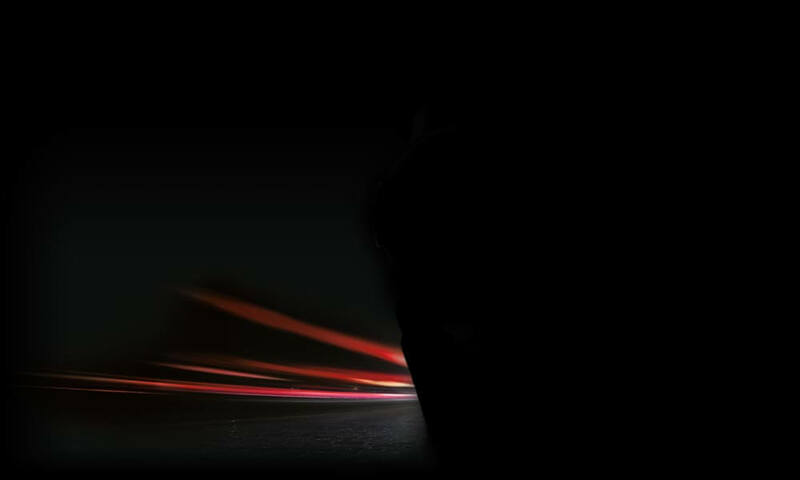 But since it can’t do anything more, the movement geekiness comes down dramatically. Still, the quality and function are still superb! Added-Functionitis * N/A Since it doesn’t tell time and have a timekeeping gear train, it can’t have any extra functions outside of timekeeping. While it is awesome, you won’t need any Gotta-HAVE-That cream to prevent the amusing swelling! Ouch Outline * 7.4 Pulling a muscle in your back carrying lead bricks! Working in a shop environment means that sometimes I have to move some weird stuff. But even so, I’d carry lead bricks all day if it meant getting the Playground Pinball on my wrist! Mermaid Moment * Three plays, please! All it takes is three plays of the Playground Pinball to realize you better find a justice of the peace fast! Awesome Total * 759.44 Add together the possible points across the board (13,670) and divide the result by the number of balls (3), then divide by the largest bumper multiplier (3x) and the second largest bumper multiplier (2x) to get a pretty radical awesome total! For more information, please visit www.hautlence.com. I say save the $30,000 and play pinball on your smartphone. Then, buy a nice watch from a company still interested in legitimate watch making. Nice to know that ‘the Labyrinth has nearly sold out’ – limited edition of 36, wasn’t it? 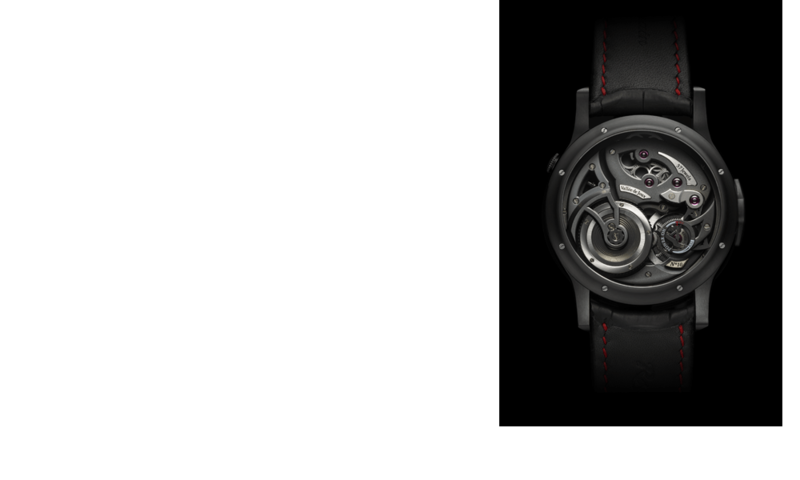 The Hautlence Vortex: Is This The World's Slowest Tourbillon?